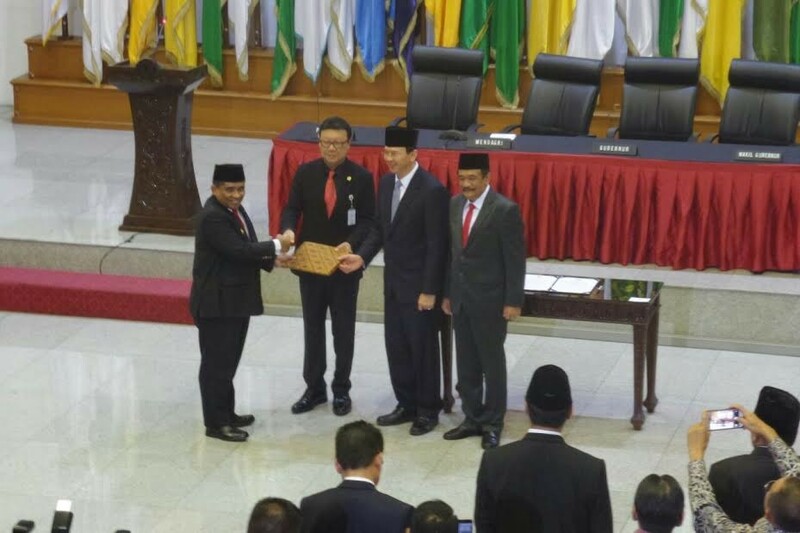 Jakarta Governor Basuki “Ahok” Tjahaja Purnama has officially handed over his office to the Home Ministry’s regional autonomy director general Soni Sumarsono, who was appointed by the ministry to serve as acting governor on Wednesday. Told you this ahok guy is a flip flop in his brain and not trustworthy and at same time Wasted tax payers money suing this very pilkada rules. He must pay back the state for his stupidity and egomaniac power hungry character.